but all that I am, I owe to you Mom. and taught me the way I should go. 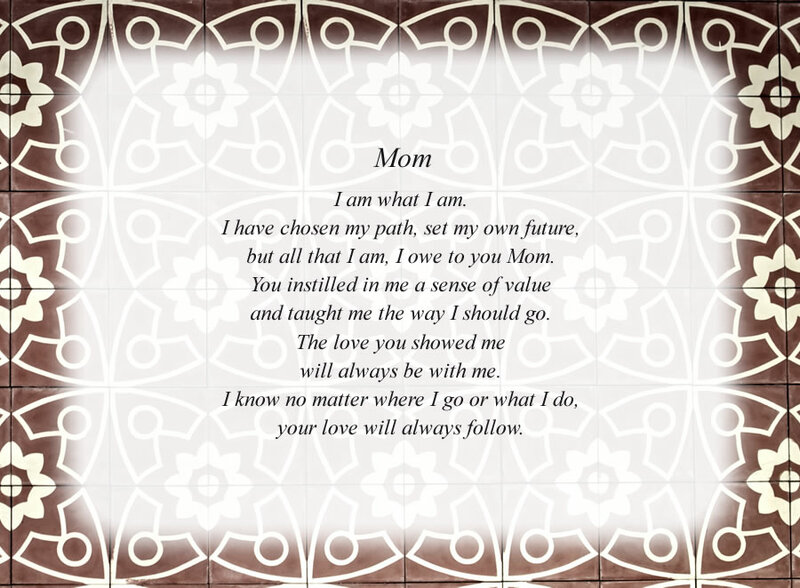 The poem, Mom(2), is free and printable by opening or downloading using one of the three links below.